Posted by geoconger in Anglican Church of Rwanda, Church of England Newspaper. In a church school ceremony marking the 20th anniversary of the Rwandan Genocide held in Kigali last week, the Bishop of Shyira of the Province de L’Eglise Anglicane au Rwanda, the Rt. Rev. Laurent Mbanda, called upon the young to safeguard the nation from the evils of tribalism. “You should be happy that you live in times like these when Rwanda has good leadership. The current government stopped Genocide, brought peace and national unity-the kind of change this country needed. You have done very well to come and learn… Therefore be agents of change,” Dr. Mbanda said according to reports in the New Times. Over a 100-day period from 7 April 1994 to July, upwards of 1 million Rwanda Tutsis as well as Hutus who opposed the violence, were killed by Hutus. The genocide claimed the lives of 20 per cent of the country’s population and killed 70 per cent of Rwanda’s Tutsis. Posted by geoconger in AMiA, Anglican Church of North America, Anglican Church of Rwanda, Anglican Ink, Corruption. Allegations the Archbishop of the Anglican Church of Rwanda (PEAR) solicited a $250,000 gratuity from the Anglican Mission in America and its refusal led to the breach with the African church are baseless, church leaders tell Anglican Ink. Rumors have circulated on the internet for the past few days accusing the Rwandan primate of graft. 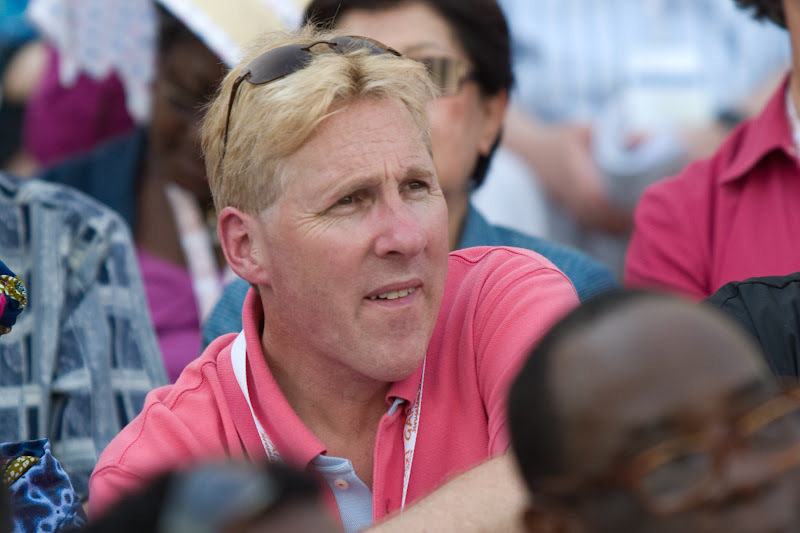 “I learned from an unimpeachable source today that Rwandan Archbishop Rwaje had asked Bishop Chuck Murphy for $250,000 to build a home,” one message shared on a popular Anglican news portal alleged. Posted by geoconger in AMiA, Anglican Church of North America, Anglican Ink. Anglican Mission in America has voted to join the Anglican Church of North America (ACNA). At a parish meeting on 5 Nov 2012, All Saints Church in Pawleys Island, South Carolina was asked to give its support to one of two propositions. Proposal 1 would affiliate the historic congregation with the ACNA, while proposal 2 would align the church with the Anglican Mission in America’s (AMiA) Society for Mission and Apostolic Works. Parish by laws required 51 per cent approval for a change in affiliation or 316 votes. With a quorum present, proposal 1 received 322 votes and proposal 2 received 229 votes. Posted by geoconger in AMiA, Anglican Ink, Church of the Province of Uganda. The Anglican Mission in America (AMiA)’s Society for Mission and Apostolic has lost one of its two ecclesial sponsors. In a 22 August 2012 statement given to Anglican Ink, the Church of Uganda said the canonical cover offered by one of its bishops to clergy who wish to affiliate with the society under the leadership of Bishop Chuck Murphy had been withdrawn. Earlier this month clergy who had been affiliated with the AMiA received a letter from its headquarters in Pawleys Island, South Carolina asking that they choose one of two canonical jurisdictions. Last month Bishop Murphy, accompanied by his assistant the Rev. Canon Kevin Donlan, traveled to Africa to arrange alternative provincial oversight in light of the severance of relations with the Anglican Province of Rwanda and the end to the temporary oversight provided by the Anglican Province of the Congo. Posted by geoconger in AMiA, Anglican Ordinariate, Anglican.TV, Church of England, Georgia, South Carolina. The Diocese of South Carolina is in a 25 day waiting period before Bishop Lawrence makes a decision on the way forward following the aftermath of General Convention. Plus a church from Pawleys Island and Moultrie Georgia makes plans to move foreword. Kevin and George also discuss Archbishops of Canterbury news and the Society of Bishop Murphy. The show closes with Kevin and George addressing the international boycott of Anglican Unscripted and what you can do to help. Tags: All Saints Pawleys Island, Chuck Murphy, Robert L Grafe Jr. The flagship parish of the Anglican Mission in America – All Saints Pawleys Island – is set to vote at a special parish meeting this fall on its rector’s proposal the congregation join the Anglican Church in North America. He noted that a “change in affiliation requires an amendment to our by-laws and a parish vote,” which could take place later this year. Posted by geoconger in Anglican Church of Rwanda, Church of England Newspaper, Politics. A report submitted to the United Nation’s Security Council claims two retired Anglican bishops have served as go-betweens for the Rwandan government and the Congolese rebel group M23. In a report dated 26 June 2012, the Group of Experts on the Democratic Republic of the Congo reported that Archbishop Emmanuel Kolini and Bishop John Rucyahana had facilitated talks between the government and rebel leaders. The Group of Experts stated two Anglican bishops had convened a meeting organized by the Rwandan Defence Forces for leaders of the CNDP – the Congrès national pour la défense du peuple, CNDP is a political armed militia established by Laurent Nkunda in the Kivu region in 2006 that under the terms of the recent peace accord is to be integrated into the Congolese army. The Group of Experts further identified the two bishops as “senior members” of Rwanda’s ruling government party. Bishops Rucyahana and Kolini did not respond to our email requests for comments or clarification to the claims made in the Group of Experts report. However, the Anglican Church of Rwanda (PEAR) told The Church of England Newspaper that it was not involved, nor aware of the incidents cited in the report. PEAR was a church for all the people of Rwanda, Tutsis and Hutus, a spokesman said and was committed to staying out of politics. To link the church with state politics was “untrue” and “unfair”. Posted by geoconger in Anglican Church of North America, Anglican Church of Rwanda, Anglican Covenant, Anglican.TV, Canon Law, Church of England, Church of Ireland, Property Litigation, Scottish Episcopal Church. After a one week hiatus George and Kevin return. Allan Haley brings breaking news from the Supreme Court concerning TEC churches and the Dennis Canon. Your hosts talk about their adventures at the Anglican Church in North America’s Assembly, including the topic everyone was ‘not’ talking about. David Ould brings news from Australia and England while his twin brother Peter is enjoying a vacation with is family at Eurodisney. The year 2011 could have been the Anglican Church in North America’s annus horribilis, Archbishop Robert Duncan told the bishop and delegates attending its fourth provincial council meeting at the Ridgecrest Conference Center in Western North Carolina on 6 June 2012. But at year’s end the ACNA was the stronger for its engagement with the chaos surrounding the collapse of the Anglican Mission in America. “The only way to explain what has happened is to speak of God’s hand and God’s favor” the archbishop said in his presidential address. While heavy fog greeted the bishops and council members at their mountain retreat, grey skies were not evident inside the council chamber. Delegates told Anglican Ink they were upbeat and hopeful for the future of the province-in-waiting of the Anglican Communion – a message shared by Archbishop Duncan in his state of the church address. Posted by geoconger in AMiA, Anglican Church of Canada, Anglican Church of North America, Anglican.TV, Church of Ireland, Property Litigation, The Episcopal Church. Posted by geoconger in AMiA, Anglican Ink. The Chairman of the Anglican Mission in America (AMiA) has given the following statement to Anglican Ink in response to our query concerning the withdrawal of Archbiship Eliud Wabukala’s patronage. “I received word this morning via email that Archbishop Eliud Wabukala has withdrawn from the College of Consultors for the Anglican Mission. …..
Posted by geoconger in AMiA, Anglican Church of Kenya, Anglican Ink. The Archbishop of Kenya has withdrawn from the Anglican Mission in America’s (AMiA) College of Consultors. Sources within the AMiA and in the Anglican Church of Kenya tell Anglican InkArchbishop Eliud Wabukala has written to Bishop Chuck Murphy withdrawing his patronage from the organization. Last week Bishop Murphy announced that five primates – Archbishop Henri Isingoma of the Congo, Archbishop Eliud Wabukala of Kenya, and retired archbishops Emmanuel Kolini, Yong Ping Chung and Moses Tay – had agreed to provide archiepiscopal oversight for the AMiA as it reconstitutes itself as a mission society. The Anglican Church of North America (ACNA) has received two bishops from the Anglican Mission in America (AMiA) as honorary temporary assistant bishops. The Rt. Rev. T.J. Johnston will serve as an assistant bishop to the Rt. Rev. Foley Beach of the Anglican Diocese of the South and the Rt. Rev. John Miller will serve as an assistant bishop to the Rt. Rev. Neil Lebahr of the Gulf Atlantic Diocese, Anglican Ink has learned. A memorandum of understanding dated 18 April 2012 endorsed by Bishops Johnson and Miller and by Bishop Leonard Riches and Charlie Masters on behalf of the ACNA states the agreement serves to “provide a temporary jurisdictional connection” and will last for 180 days, with an interim review at the 90 day mark. Posted by geoconger in AMiA, Anglican Church of Rwanda, Church of England Newspaper. The leader of the Anglican Mission in America (AMiA) reports that his group has moved under the oversight of the Anglican Church of the Congo. “This week, I received an official letter from Archbishop Henri Isingoma of the Anglican Church of the Congo, receiving me as a Bishop of the House of Bishops in his Province and offering us a new canonical residence,” Bishop Chuck Murphy reported to his followers on 13 April 2012. However The Church of England Newspaper has not been able to confirm the veracity of Bishop Murphy’s claims with Archbishop Henry Isingoma of the Congo, nor has the AMiA released a copy of the letter from Kinshasa cited in its announcement. The terms of the arrangement have not yet been disclosed however in a 10 April letter the Rwandan House of Bishops stated it would allow AMiA clergy who wished to be released from their oversight to transfer to another province of the Anglican Communion. The new arrangement with the Congo came “in response to a recent letter from Archbishop Rwaje asking our bishops to translate to another Anglican jurisdiction by the end of this month, I had earlier requested that he send my letters dimissory to the Province of the Congo,” Bishop Murphy said. The move back to Africa by the AMiA came as a surprise to the ACNA, CEN was told, as the organization was in talks with the American conservative Anglican province to move under its wing. Nor were the leaders of the Gafcon movement aware of the plans, CEN has learned. In his 5 Dec 2011 letter to Archbishop Onesphore Rwaje of Rwanda informing him of his resignation Bishop Murphy wrote that he had been led by the Holy Spirit to believe it was time for the AMiA to withdraw from African oversight. The AMiA has declined to respond to questions about their move back to Africa or the agreements reached with the Congolese church. The Archbishop of Kenya reports that attempts to forge a compromise between the bishops of the Anglican Mission in America (AMiA) and the Church of Rwanda have failed. In a statement released on 29 March 2012, Archbishop Eliud Wabukala stated that each side wishes the other well as they pursue new opportunities in ministry. The severing of formal ties between the AMiA and Rwanda after 12 years ends the first sustained “cross border” jurisdictional violation criticized by the Windsor Report – leaving the Church of Nigeria with the only formal overseas-led jurisdiction in North America. On 13 March 2012 Bishop Chuck Murphy, Bishop John Miller and Canon Mike Murphy of the AMiA, along with the retired primates of Rwanda and South East Asia, Archbishops Emmanuel Kolini and Yong Ping Chung with the Primate of Rwanda, Archbishop Onesphore Rwaje and Bishop Laurent Mbanda in Johannesburg to “facilitate relational reconciliation,” a statement from the AMiA said. The Johannesburg meeting follows upon a January meeting in Nairobi also hosted by Archbishop Wabukala that sought to find a way forward in the rupture between the AMiA’s bishops and the Church of Rwanda. Last year all but two of the AMiA’s bishops quit the African church after the Rwandan House of Bishops pushed for greater financial and organizational accountability of the South Carolina-based jurisdiction. The split has fractured the AMiA’s 150 congregations. While no numbers have been released by the AMiA, a majority of its congregations appear to have left Bishop Murphy’s oversight—including Bishop Murphy’s former parish and the AMiA’s headquarters, All Saints Church in Pawleys Island, South Carolina. One faction appears set to join the Anglican Church in North America (ACNA), a second group has pledged its loyalty to the Church of Rwanda but will seek to operate under the oversight of the ACNA, while a third remains with Bishop Murphy and his bishops. Negotiations to find an accommodation are currently underway between the Murphy faction and the ACNA, however the terms publicly set by Archbishop Duncan include reconciliation between Rwanda and the Murphy group. The parties further agreed not to disparage each other. “We will honor all parties involved by promising not to engage in derogatory or judgmental communication,” the statement said. The AMiA statement said “Bishop Murphy expressed deep gratitude to Archbishop Wabukala for his leadership and thanksgiving for this new beginning for the Anglican Mission.” A member of the Rwandan House of Bishops contacted by the Church of England Newspaper stated his church would not comment at this time, noting the communiqué spoke for itself. Posted by geoconger in Albany, AMiA, Anglican Church of Rwanda, Anglican.TV, Property Litigation. Your Host Kevin and George talk about AMiA (then and now), DEPO in Albany, and the role of the Bishop in the Church. Allan Haley discusses last minute changes in the Virginia Court case and Obamacare’s scary week at the US Supreme Court. You can tweet your comments to #AU35 or email us at anglicanunscripted@gmail.com — and as always we have saved the best for last. Posted by geoconger in AMiA, Anglican Church of Aotearoa New Zealand & Polynesia, Anglican Church of Rwanda, Anglican.TV. From Natural Disasters to International turmoil your Anglican Unscripted hosts Kevin and George cover it all. There is also updated AMiA and PEARUSA News and AS Haley reflects on what happens when you lose in court. This episode starts with a great adventure in Texas and finishes with a new segment called Mailbag. Please reply to anglicanunscripted@gmail.com. Posted by geoconger in AMiA, Anglican Church of Rwanda, Anglican.TV, Church of England. This week Kevin and George discuss completely outdated materials that were Indispensable 10 years ago. They also banter about Her Majesty Queen Elizabeth II and her role in Christian England. Also in Episode 29 your hosts delve into the differences between 815 and ACNA and provide updated announcement from AMiA Bishops and PEARUSA. After commemorating Whitney Houston and a word from Bishop Nazir-Ail on the Arab Spring your host seek help from the Unscripted viewing Audience. Bishop Chuck Murphy along with the other former bishops of the Anglican Mission in America (AMiA) have rejected the protocol for reconciliation with the Church of Rwanda brokered by the Archbishop of Kenya at the 4 January 2012 meeting in Nairobi. Speaking at a conference in Houston this week, Bishop Murphy reiterated his plans to form a mission society with an international focus from the remnants loyal to him within the former AMiA. The decision to repudiate ties with Rwanda severs the last link to the Anglican Communion for Bishop Murphy and his faction within the AMiA. Bishop Phillip Jones, one of the resigned suffragan bishops told the Houston Conference, the new group no longer sought to be Anglican or to work within the confines of the Anglican tradition. The Murphy group wanted to be attached to some wider organization, but in its current form it was a non-institutional entity with a global focus, that did not need to be Anglican, Bishop Jones said according to those present at the meeting. On 17 January 2012, Archbishop Eliud Wabukala released a letter summarizing the 4 Jan meeting in Nairobi. Present at the gathering were Bishop Murphy and Bishop John Miller from the U.S., Archbishop Onesphore Rwaje and Bishop Laurent Mbanda from Rwanda, Archbishop Ikechi Nwosu from the Church of Nigeria, Archbishop Wabukala from the Anglican Church of Kenya and four other Kenyan bishops. He added that he had been “deeply distressed by the public accusations” leveled against him, but remained “determined” to carry on the work he began in 2000. The agreement also called for the retired archbishops who had been supporting Bishop Murphy to work the “incumbent Archbishop of Rwanda” and for the retired archbishops to acknowledge the “ecclesiastical authority” of Archbishop Rwaje. The Murphy faction of the AMiA “agreed that they remain canonically under the Church of Rwanda” and would put on hold for six months “plans for restructuring” the organization. However, while Bishop Murphy has said the work of reconciliation is continuing, the wider agreement appears ready to collapse as Bishop Murphy told those attending his Winter Conference that they would not accept the authority or directions of Rwanda, sources attending the Houston conference told The Church of England Newspaper. Posted by geoconger in AMiA, Anglican Church of Rwanda, Anglican.TV. Kevin and George bring news and opinion about all things Anglican. Which of course has become a very dynamic vivid church — blessed by God in this Century. Posted by geoconger in AMiA, Anglican Church of Rwanda, Anglican.TV, Church of Nigeria, Popular Culture. Kevin and George deliver news and commentary on a possible civil war in Nigeria and the latest news (and commentary) from PEAR and the Anglican Mission in America. Allan Haley talks about last years news and the good news of 2012. oh… and then there is that tattoo story…. Posted by geoconger in AMiA, Anglican Church of Rwanda, Anglican Ink. The leader of the Anglican Mission in America, Bishop Chuck Murphy, will meet with the Primate of Rwanda today to seek a resolution to the split that has seen nine AMiA bishops quit the province and the Anglican Communion. 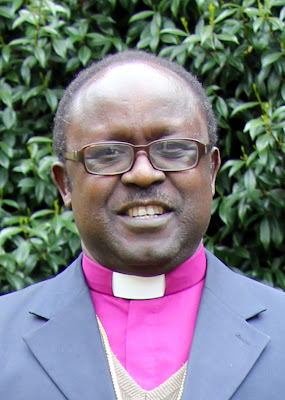 The Archbishop of Kenya, Dr. Eliud Wabukhala will host the 4 Jan 2012 meeting between Bishop Murphy and Archbishop Onesphore Rwaje in Nairobi. Other African and North American church leaders are expected to attend the meeting as well. Last month Bishop Murphy stated he would travel to London to meet with retired Archbishops Emmanuel Kolini, Moses Tay and Yong Ping Chung to begin the work of finding a new provincial sponsor for the AMiA. A statement released after the 12-14 December meeting omitted mention of a new home. It did affirm, however, the retired archbishops’ continued support for the missionary society concept advocated by Bishop Murphy. The American bishops of the Anglican Mission in America (AMiA) have quit the Church of the Anglican Province of Rwanda (PEAR), rejecting its discipline and oversight. In a letter dated 5 Dec 2011, Bishop Chuck Murphy announced that the Lord “is now doing” a “new thing” and that he and all but two of the AMiA’s bishops were withdrawing from PEAR. It is unlikely the bulk of the AMiA’s 152 congregations and its clergy will follow the bishops out of the church. On 9 Dec Archbishop Onesphore Rwaje appointed the two loyal American bishops, the Rt. Rev. Thad Barnum and the Rt. Rev. Terrell Glenn, to oversee those who wish to remain within the Anglican Communion. At the Sept House of Bishops meeting, Bishop Murphy proposed changing the oversight of the AMiA from PEAR to a council of three archbishops that he would select. The Rwandans objected to this plan and directed him to halt work until the bishops were of one mind. However, Bishop Murphy carried on with the work announcing that the proposal would be presented to the 21 Dec meeting of the PEAR bishops for approval. The PEAR bishops also requested a detailed accounting of funds sent to Rwanda as a tithe of the AMiA’s income after reports reached them that portions of the tithe were being spent on Rwandan related projects that had not been approved by the province. The AMiA has responded that those portions of the funds not contributed directly to the PEAR central fund had been spent on projects authorized by Archbishop Emmanuel Kolini. A summary was provided by the AMiA after the split, but no formal accounting of the funds has yet appeared. Title I.6.10 of the Rwandan canons further obligates Bishop Murphy to “make a report” to the primate on the AMiA’s status “according to the manner established by the House of Bishops or Provincial Synod of the Province.” His failure to comply violated the canons and was an act of disobedience the Rwandan bishops argued. In his letter of resignation, Bishop Murphy said the AMiA was under no obligation to PEAR as there was “no covenant from the Anglican Mission to the Province.” He enumerated several areas of displeasure with the conduct of the archbishop, and added that he had come to the belief that it was God’s plan for the AMiA to quit the Anglican Communion and venture out on its own. “I now see a parallel between the Exodus story and the present situation” with Rwanda and the AMiA. According to a statement released on behalf of the faction allied with Rwanda, the resignation will not affect the AMiA’s churches or clergy. “The bishops who resigned from Rwandan oversight no longer have any authority over churches and clergy which are canonically resident in Rwanda. Clergy and churches may choose to disaffiliate with the Church of Rwanda, just as the resigning bishops did. But unless they do so, they remain under the oversight and spiritual care of Archbishop Onesphore Rwaje,” the statement said. Posted by geoconger in AMiA, Anglican Church of Rwanda, Anglican Ink, South Carolina. Kevin and George discuss the interesting responses coming from South Carolina, TECs meddling into the Anglican Ordinariate, and your Hosts briefly talk about the situation with AMiA and the Province of Rwanda. The head of the Anglican Mission in America has been threatened with ecclesiastical discipline for contumacy. In letter to Bishop Chuck Murphy dated 30 November 2011 under the signature of all of the members of the Rwandan House of Bishops, the AMiA leader was chastised for disobedience. “You have constantly disregarded the decisions and counsels of the House of Bishops” and have “misused the authority given to you by the Archbishop in advancing your new missionary society interests,” the Rwandan bishops said. At a September meeting of the Rwandan House of Bishops, Bishop Murphy proposed reorganising the AMiA – a mission outreach of the Rwandan Church to the US. Bishop Murphy proposed keeping the AMiA part of the Rwandan Church, but moving the oversight of the Pawleys Island, South Carolina, group from the archbishop to a three-man college of consultors. Bishop Murphy proposed retired archbishops Emmanuel Kolini, Moses Tay and Yong Ping Church as the first college of consultors. The Rwandan bishops objected to the reorganization and asked Bishop Murphy to halt work on the new structure until the bishops were of one mind on the topic. However, in meetings with AMiA clergy in October, Bishop Murphy said the project was four-fifths complete, and would be presented to the 21 December 2011 meeting of the Rwandan bishops for approval. The Rwandan bishops repeated their request to halt work on the project, and in the 30 November letter gave the US bishop an ultimatum — repent of your disobedience or go. He had also “dogged questions of financial transparency” and had not yet complied with a commitment given to the Rwandan bishops in September to provide an accounting of the group’s finances. Unless he complied with this request within seven days, the Rwanda House of Bishops would assume that he had “made a ‘de facto’ choice to withdraw as primatial vicar” of the AMiA. A spokesman for Bishop Murphy told The Church of England Newspaper, the American leader would honour the Rwandan request. The reorganization debate “required the [AMiA] and the Province of Rwanda to engage in substantive dialogues, and we seek to ensure that our unique cultures are in clear communication with each other,” the spokesman said. The AMiA press office appears to have shot itself in the foot once more. On Dec 9, 2011 – some eleven months after Bishop Alexis Bilindibagabo requested Bishop Chuck Murphy provide an explanation for the discrepancy between the amount of money the AMiA reported as sending to Rwanda as a tithe, and the amount of money received by Rwanda (approximately $1.2 million) – the AMiA released data on the tithe to Rwanda for the years 2004 to 2010. During this period, a total of $1.9 million was made in tithe gifts. The funds were distributed in three categories: direct payments to the central fund of the Province of Rwanda totaling $1.11 million; $487,000 in travel expenses; and $312,000 in designated gifts. The $312,000 is further divided in a third chart provided by the press office. And here things become rather interesting. Eleven line items are listed, and of these the names of four individuals are appended to the amounts. Perhaps it is a coincidence, but the four names listed are of three Rwandan bishops who have called for an accounting – and me. I am listed as having received $6692 for a White Paper written for the province. Posted by geoconger in AMiA, Anglican Church of Rwanda, Anglican Ink, Press criticism. Bobby Ross Jr., has written a great story of the Anglican Mission in America (AMiA). The article at Christianity Today entitled “Leaving Rwanda: Breakaway Anglicans Break Away Again” is rather clever. It draws upon the imagery of “Out of Africa” as well as offering an amusing play on “breakaway – break away”. He also takes the story forward, reporting that Bishop Murphy and his faction of the AMiA will seek another Anglican Province to serve as its sponsor. They’re out of Rwanda but hopefully not out of Africa — and the Anglican Communion. I did not envy Bobby when I learned he had been commissioned by CT to do this story. Explaining intramural Anglican affairs is difficult enough to an audience that self-identifies as being Anglican/Episcopal, but making sense of the story for the wider Protestant world (CT’s audience) is harder still. Bobby quotes me in the story, pairing my observations with those of Cynthia Brust the AMiA’s press officer. The CT story brings Bishop Murphy’s spokesman on board with a response to the concerns raised by Bishop Alex Bilindibagabo that funds the AMiA claims to have given to Rwanda did not make it into the province’s bank account. Bishop Chuck Murphy has rejected the godly admonition of Archbishop Onesphore Rwaje and he and the members of the Anglican Mission in America (AMiA) House of Bishops have broken with the Church of Rwanda. In a letter dated 5 Dec 2011, Bishop Murphy and the AMiA House of Bishops announced that the Lord “is now doing” a “new thing” and that its bishops had decided to reject the discipline and oversight of Anglican Church of Rwanda . Whether the clergy and congregations of the AMiA will follow their bishops into schism and out of the Anglican Communion is not known at this time. However by this second secession in eleven years along with the adoption of a distinct Roman Catholic ecclesiology and sacramental theology, the AMiA appears to have given up its claim of being Anglican in order to follow its leader, Bishop Murphy. “You have constantly disregarded the decisions and counsels of the House of Bishops” and have “misused the authority given to you by the Archbishop in advancing your new missionary society interests,” said the letter signed by the Archbishop Onesphore Rwaje and the Rwandan bishops. The censure follows a 17 Nov 2011 meeting in Washington between Bishop Murphy and Archbishop Rwaje, which sources described as having had a full and frank exchange of views. The Anglican Mission in America (AMiA) has denied speculation that its chairman, Bishop Chuck Murphy, has offered to step down in the wake its dispute with its parent church, the Province of Rwanda. On 28 November 2011, a spokesman for the AMiA told The Church of England Newspaper that a report in the Christian Post that stated Bishop Murphy was going to retire was incomplete. The resignation of AMiA Bishop Terrell Glenn coupled with a show of no confidence in Bishop Murphy over the planned reorganisation of the American church group by the Rwandan Church had led to speculation the American leader would step down. Sources in the AMiA told CEN they also had been briefed by senior leaders that Bishop Murphy was going to retire, however, the AMiA’s spokesman stated this was incorrect. “While Bishop Murphy has indicated for quite some time that he plans to step down as Chairman of the Anglican Mission sometime around December 2013, he has not made any ‘formal announcement’ either internally or externally,” spokesman Cynthia Brust said. At a 27 September 2011 meeting, Bishop Murphy unveiled the reorganisation strategy to the Rwandan bishops. The new arrangement would provide stability and continuity for the Pawleys Island, South Carolina-based organisation by moving oversight from the Archbishop of Rwanda to a self-perpetuating college of consultors, led by Archbishops Emmanuel Kolini, Moses Tay and Yong Ping Chung. Last week Bishop Murphy met with Archbishop Onesphore Rwaje of Rwanda in Washington to discuss the AMiA’s reorganisation proposal. Details of the meeting have not been released, while a January meeting has been set for the bishops to discuss the future of the AMiA. The Anglican Mission in America (AMiA) has come under sharp criticism from the Church of Rwanda over its plans to pull away from the oversight of the African church. On 31 Oct 2011 Archbishop Onesphore Rwaje directed AMiA Bishop Charles “Chuck” Murphy to suspend work on a proposal that would change its oversight from a “personal prelature” under the Rwandan primate to a missionary society overseen by an independent “college of consultors”. Founded by Evangelicals in response to what it saw as the abandonment of the classical Anglicans in the United States, Bishop Murphy and Bishop John Rodgers were consecrated on 29 January 2000 at St Andrews Cathedral in Singapore by the Archbishop of Southeast Asia and Rwandan Archbishop Emmanuel Kolini. It has grown rapidly under the leadership of Bishop Murphy, but has begun to witness internal tensions as well as stresses in its relationship with Rwanda. Citing personal disagreements with Bishop Murphy, the Rt. Rev. Terrell Glenn, an assistant bishop, last week announced his resignation. Questions have also been raised over the transparency of the AMiA’s finances and leadership structure. Criticisms have also been raised over new canons prepared by a former Roman Catholic clergyman now serving in the AMiA that have incorporated a Roman Catholic ecclesiology and sacramental theology. The AMiA is not synodicaly governed but operates under the sole authority of its leader, Bishop Murphy, who acts as a primatial vicar for the archbishop. Rwanda’s Title II Canon 15 hold there are seven sacraments of two kinds, while Canon 17 teaches the doctrines of Transubstantiation and the Sacrifice of the Mass – a stance that puts the church at odds with Articles XXV and XXVIII. The canons also follow the Roman Catholic teachings on confirmation, penance, matrimony, ordination, holy unction as well as baptism. At its 2011 Winter Conference, Bishop Murphy indicated there would likely be a change in the AMiA’s relationship with Rwanda in light of the retirement of Archbishop Kolini. Only two Rwandan bishops had been in office when the AMiA had been formed and the “institutional memory” was fading away, he noted. A June 2011 meeting in Rwanda brought matters to a head. The Rwandan Church asked for an accounting of funds collected by the AMiA and designated for the East African province. Questions were also raised about the degree of accountability the AMiA had towards the Rwandan House of Bishops. The Rwandan bishops also declined to approve Bishop Murphy’s assistant bishop nominations. Bishop Murphy noted that the AMiA had no canonical obligation to send money to Rwanda – it had however, contributed an average of 12 per cent of its income over the last seven years to Rwanda’s general fund. However, no public accounting of the disbursements has been made so far. He also charged the Rwandan bishops with “reverse colonialism” – seeking to oversee a church half a world away. This had not worked during the age of colonial expansion when London missionary societies oversaw African churches and could not work today, he argued. At a 27 Sept 2011 meeting, Bishop Murphy unveiled the reorganization strategy to the Rwandan bishops. The new arrangement would provide stability and continuity for the Pawleys Island, South Carolina-based organization by moving oversight to a self-perpetuating college of consultors, initially led by Archbishop Kolini. While Bishop Murphy told CEN he believed the meeting went well, the Rwandan bishops were left nonplussed. Bishop Murphy told CEN it was “absurd” to suggest he was in rebellion. He denied the AMiA was seeking to withdraw from Rwanda and stated his relations with the archbishop remained strong. A meeting is scheduled next week in Washington between the AMiA and the primate to review the tensions before the 21 Dec 2011 meeting of the House of Bishops in Rwanda. Posted by geoconger in AMiA, Anglican Church of Rwanda, Anglican.TV, CANA, Church of Nigeria, Connecticut, The Episcopal Church. Anglican Unscripted for November 7, 2011. Discussion of the Anglican Mission in America and the Province of Rwanda, violence in Nigeria, Episcopal Church statistics and legal developments in the Diocese of Connecticut. Posted by geoconger in AMiA, Anglican Church of Rwanda, Anglican.TV, CANA, Church of Nigeria. Anglican Unscripted examines the tensions between the ACNA and the Church of Nigeria over the new Diocese of the Trinity, unconfirmed reports about the AMiA’s future, the trouble at St Paul’s and the latest on Katharine Jefferts Schori and Bede Parry. Erratum: In this video I stated that Christ Church Plano withdrew from the AMiA over the issue of women’s ordination. The rector of Christ Church Plano, Canon David Roseberry, kindly wrote to me and stated that this was not the case. I mentioned Christ Church as an example of the gracious way the AMiA has handled disaffiliation of parishes. I believe how that episode was resolved speaks highly of the integrity and Christian charity of the AMiA leadership and Canon Roseberry. I regret I stepped on the story by adding an extraneous statement about why the parish left—and got that bit wrong. Please excuse the error. Church and State must work hand in hand to better the lives of the people of Africa, President Paul Kagame said on Jan 24 at the installation of the new primate of Rwanda, Archbishop Onesphore Rwaje. When church and state work together they fulfill God’s plan for his people, he said. The president thanked outgoing Archbishop Emmanuel Kolini for his ministry in the wake of the 1994 genocide. “Understanding and action goes together,” the president said, adding that he had witnessed how the Anglican Church of Rwanda during the past 13 years under Archbishop Kolini had taken positive steps toward rebuilding the nation and fostering peace and unity. In his sermon, the Primate of Burundi, Archbishop Bernard Ntahoturi, expounded upon 2 Kings, likening the passing of authority from Elijah to Elisha to the changing order within the Rwandan Church, with God’s power and authority passing onto a new anointed leader. The Bishop of Byumba, the Rt. Rev. Onesphore Rwaje has been elected the primate of the Anglican Church of Rwanda. On Sept 17, the Rwandan House of Bishops meeting in Kigali elected Bishop Rwaje to serve as primate of the East African province in succession to Archbishop Emmanuel Kolini. Archbishop Rwaje will also be translated to the newly created diocese of Gasabo, after having served as Bishop of Byumba since 1991. The new archbishop has served as President of the Protestant Council of Rwanda, Dean of the province, and as the Anglican Church of Rwanda’s delegate to the World Council of Churches and the Council of Anglican Provinces of Africa, and as an alternate member of the general committee of the All Africa Council of Churches. The chairman of the Anglican Mission in the Americas, Rwanda’s missionary outreach in the United States and Canada, Bishop Chuck Murphy said he welcomed the election of Archbishop Rwaje. “The presence of the Holy Spirit was clear and evident throughout the meeting, and we were blessed to have an election on the first ballot with overwhelming support for the Dean of the Province of Rwanda, Bishop Onesphore Rwaje,” he said.